Good-bye 2013! I can’t really believe it is the last day of year already. Soon, I’ll have to go back to work and real life. Aqua-Red Sampler – Frances and I finished our fusible machine applique’ blocks and I am supposed to be preparing the next class on curves. The Tarts Come to Tea: I haven’t quilted on this since April 2011. I really do need to work on the quilting. I was making good progress and then got sidetracked. Quilting the Whole Cloth quilt sort of got me back in the swing of quilting, so perhaps there is hope for this piece? Pointillist Palette #4: Fourth is a series of 6 quilts; needs tiny square patches sewn together. Mrs. K. gave me more PP fabric and I won some from a giveaway. I think it is a sign that I need to work on this. See: needs satin stitching. Small, also a possibility for finishing. Self Portrait: started in 2006 at a class at Quilting Adventures in Richmond, Virginia. I like the piece, but don’t know where to go from where I am. Mouth? Hair? Top is together, binding is made. I am working at ripping out the foundation paper (what a pain and what a mess!). I need to make a back and then take it to the quilter. Under the Sea: class project; like the design, but not the colors much. Flower Sugar Hexagon: sewed more hexagons together. Sewing Y seams is a bit of a chore, so I get tired of doing it after awhile. I still have a few more WIPs than I do finished projects. I am pleased with the progress I have made. Infinity blocks: at the quilter. New:* FOTY 2012: top, finished. Back and binding are complete; at the quilter. It is kind of fun to review everything I have done in the year and revisit the projects I worked on when the year felt new. Welcome, 2014! Let’s have an even better year! I had some fabric left over after making the pillowcases for the nephews and used it to make some gift bags. These are on the small size, but I really like the cheerfulness of the fabric and didn’t want to waste it. I don’t need many more gift bags as I have plenty, but I do like to make some new ones to use new fabric that I can’t resist. You can find the directions for making the gift bags on the tutorials pages. I told you that I was thinking about changing the name of this post in the new year. I think it is a valuable post for me to write, so I have decided that I will continue, but will just change it somewhat. I will freshen it up a bit to reflect the progress I have made on the old projects and change the focus to WIPs rather than UFOs. 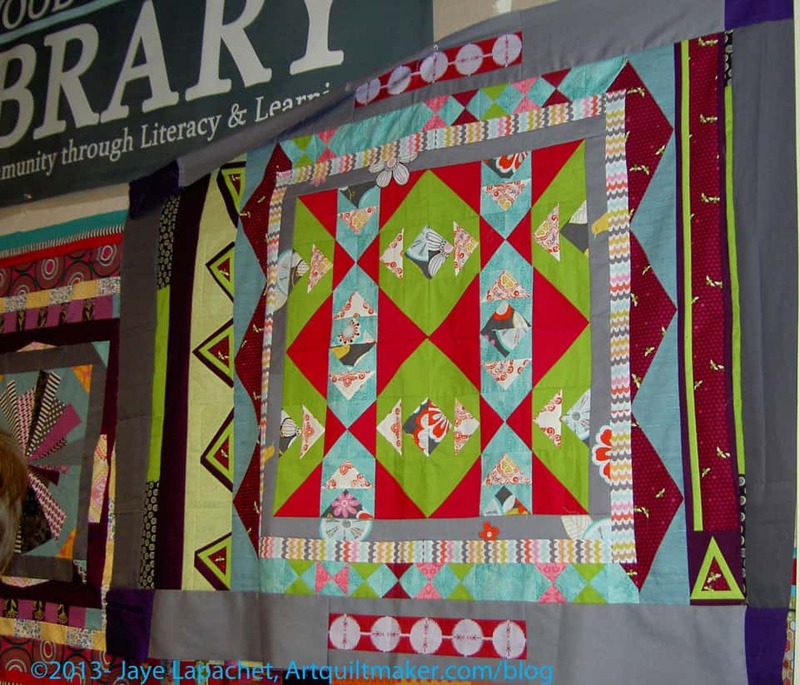 12 quilts finished in 2013 is something of which to be proud, thanks to the 26 Projects post. Again I need to keep in mind that I need to focus my efforts on not filling up the list with UFOs again. I don’t mind having a few projects going at once, but I continue to feel that I don’t want stalled projects hanging around for years. I really don’t. That is the key: I have to work on the projects. If I work on projects in which I am interested, I don’t think I will let them languish for years. Corner Store: Finished on 1/1/2013 YAY! The Garden. Finished on 1/5/2013 YAY! Stepping Stones: Finished on 2/14/2013 YAY! Calm: Finished on 3/14/2013 YAY! A-B-C Challenge: Finished on 3/31/2013 YAY! Petrillo Bag*: Finished on May 5, 2013 YAY! Aqua-Red Sampler – Frances and I are stalled. She has a lot going on, but I hope we will get back to it. I am thinking about the next tutorial regardless. The Tarts Come to Tea: I still haven’t worked on this since April 2011, though, periodically, I think about working on it. Pointillist Palette #4: Fourth is a series of 6 quilts; needs tiny square patches sewn together. I still haven’t worked on this, though, every once in a while I think about using some of the squares as leaders and enders. See: needs satin stitching. Small, also a possibility for finishing before the end of the year, though with all the cutting I have done recently, perhaps not so much. 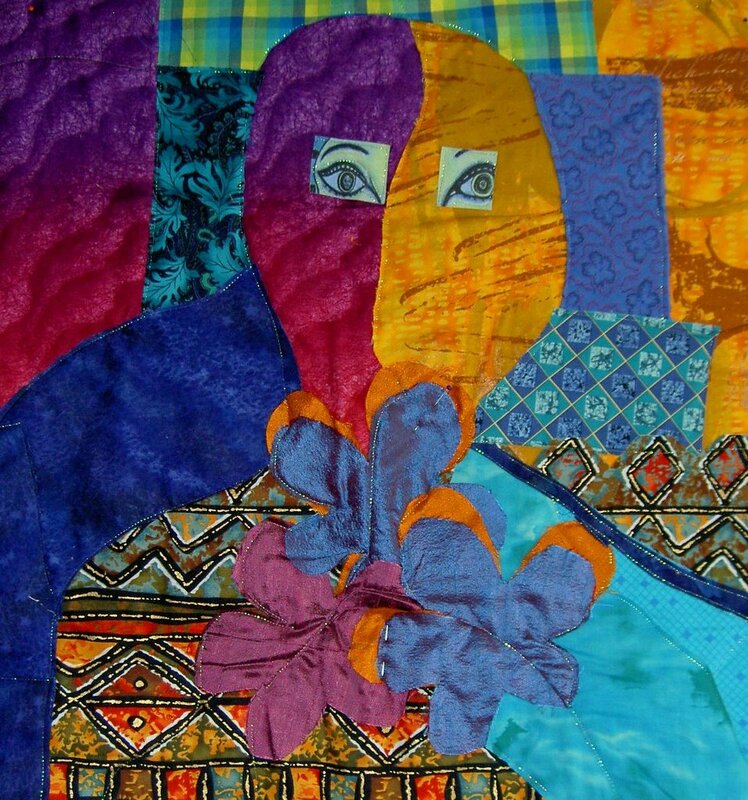 Self Portrait: started in 2006 at a class at Quilting Adventures in Richmond, Virginia. I like the piece, but don’t know where to go from where I am. Mouth? Hair? The attitude I need to have is that I can’t ruin it; there is always more fabric. Possibility for abandonment. Under the Sea: class project; like the design, but not the colors much. Possibility for abandonment. I have to face reality. Flower Sugar Hexagon: This piece is up on the design wall and I have sewed a few more hexagons together, but haven’t made significant progress despite looking at it all the time. I am beginning to think I should have added fabrics from different lines to this piece. Again, I don’t have anything ready to take to my quilter. The machine being in the shop has put a cramp in my style this month. Sigh. 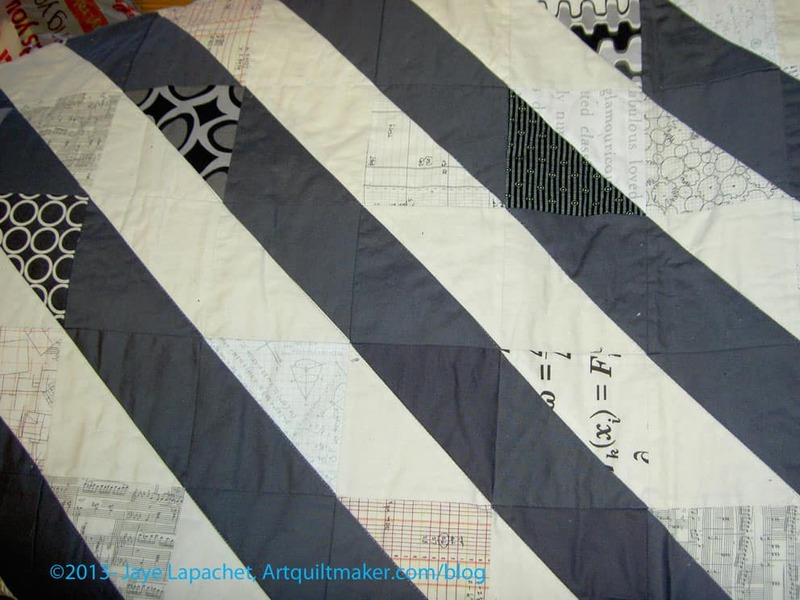 Infinity blocks: blocks sewn together into a quilt top, borders on. Back and binding made; at the quilter. Spiderweb: Top is together, binding is made. This is at the quilter. Please note that even if you combine the two lists above, I do not have 26 projects on this list anymore. This is true even though I keep starting new projects. I am thrilled that I have made progress!!! Original Bullseye: Sleeve made. still working on the hand sewing. I have been embellishing Christmas stockings instead of sewing on the sleeve. I decided that I had better put in an ‘In Process’ category. The difference, at least in my mind, between ‘In Process’ and ‘UFO’ is that I am actively working on something In Process. Spin Wheel: really not started, but supplies gathered. I probably have enough fabrics and just need to decide to start. Windmill quilt: Still hunting and gathering. Need to find a background, because if we use the cut fabrics, the pattern will be lost. The pieces are too oddly shaped to lose the pattern in a mass of scraps. Stepping Stones #2 using Bonnie & Camille fabrics Bliss, Ruby, Vintage Modern: made two test blocks, but still in the thinking stage while I decide on the background colors. I want the contrast to be good. Super Secret Project #3: working on color choices. Last update for the 26 Projects List. Read it. There’s some interesting stuff there. 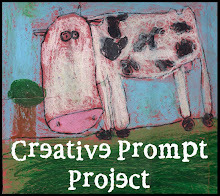 I thought you might want to take a look at the first list I made, the one with the 26 Projects. I started the list in October 2011. I have made progress. I plan to stop this post when I have no more projects from the original list to write about. I wonder when that will be? I finally finished the square blocks for Scrapitude. The above photo shows a sample if the two kinds of blocks required for the project. I still have some pressing to do to completely finish this part. I worked on them on and off using Bonnie Hunter’s leaders and enders method while I worked on other projects over the past few days. There is quite a bit of pink, which is a little worrisome. I hope it work out. I think they look cheerful. This is the last post of 2013! Take 5 minutes and enjoy! Gaggle is a SAFE cloud-based Learning Platform for the real K-12 classroom. Gaggle is a Vario & GPS for hang glider, paraglider and sailplane pilots. GPS based flight information such as logging, mapping, IGC file upload and glide calculations. Gaggle is a safe web based email solution for schools and students. http://The-Gaggle.com is a website that explores modern romance. Press Gaggle by Jay Carney and Ben Rhodes aboard AF1 en route Washington, D.C.. Definition: “A gaggle is a term of venery for a flock of geese that is not in flight; in flight, the group can be called a skein. In terms of geese, a gaggle is equal to at least five geese. In terms of salt, a gaggle is equal to eight fifty pound bags of salt. Usually one layer on a skid. In military slang, a gaggle is an unorganized group doing nothing. In aviation, it is a large, loosely organized tactical formation of aircraft. Gaggle Workshop 2012! Bringing software developers and scientists together to promote interoperability in software for systems biology. In the field of systems biology, The Gaggle is an open source software framework for exchanging data between independently developed software tools and databases to enable interactive exploration of data. I took this photo back in September at the Alden Lane Nursery Outdoor Quilt Show. The quilts got people to the nursery, which actually sells plants and garden stuff (yes, my technical term). Although, not all of you celebrate Christmas, I hope that you will project peace and love out into the world in your own way so that we can have a better world this month and next year. 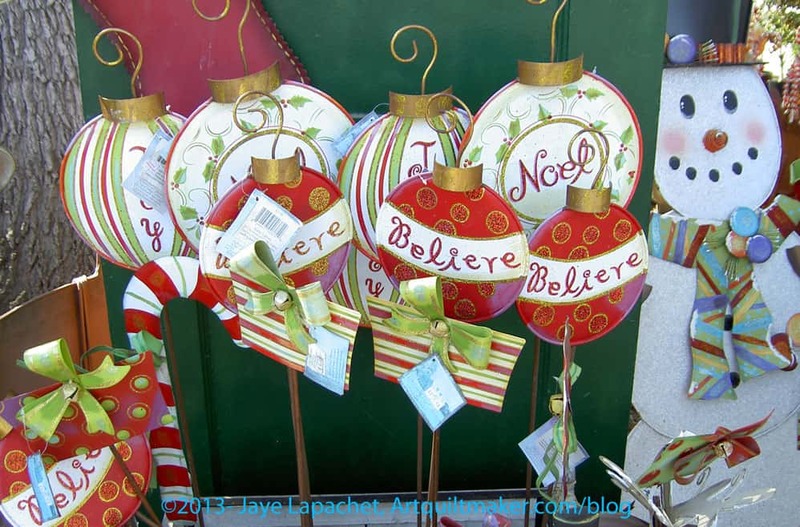 Author JayePosted on Wednesday, December 25, 2013 Monday, May 23, 2016 Categories 2013Tags Best Wishes, ChristmasLeave a comment on Merry Christmas! A Place at the Table – not at all what I expected! You probably know by now that I am a big fan of Soft and Stable. 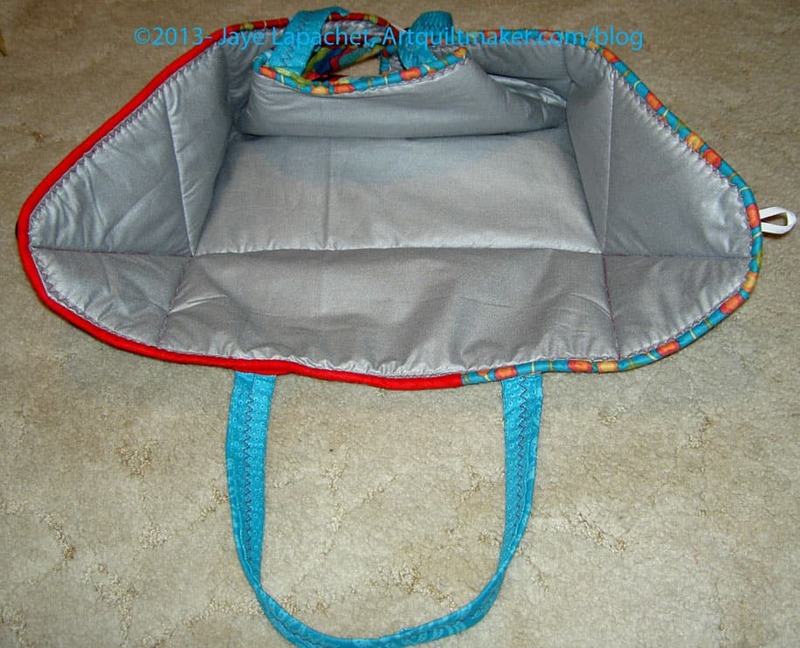 I may just end up using it for all the bags in which I don’t use ShapeFlex (another fave, thanks to Sara at Sew Sweetness). I received an email over Thanksgiving from ByAnnie, the company (and lady) who invented Soft & Stable telling readers of her newsletter that her husband had died and shipping would be delayed. I don’t see a similar article on their blog, to which to refer you, but perhaps they will post it later. The article in her newsletter was beautiful. It made me truly hope I have such wonderful things to say about my husband when we are at the end of our lives. My heart goes out to Annie and her family. 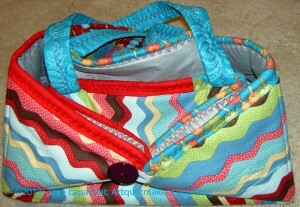 Alison Glass has a new line of Aurifil thread that are really bright and cheerful. I like them. I really like this three eyed doll by Daisy at Colorize. June has started a Flickr Group for projects made with hand-dyed fabric. Post your projects to the group. I believe that you can post projects even if you didn’t dye the fabric yourself. You can also find June and her projects at the Stitched by Me blog. There was an interesting article about inspiring workspaces of the famously creative. I particularly like the pool table in Mark Twain’s space (may be a recreation?). I also want the bookcases that Nigella Lawson has. I need those bookcases! All of these people had light and most had a lot of space. Pablo Picasso’s space is spectacular. I love the shape of the doors. Ruth Reichl’s space wouldn’t work for me as a workspace, but I love it anyway and would add such a corner to some other kind of workspace. Some of the spaces actually fit their people. Does your space fit you? Sophie commented a few times during BFSI so I went over to look at her blog, Sophie Junction. First, I loved the name. She also had a great quilt on the front page the day I looked that I thought had possibilities to be quick and not boring. Sophie is also a good writer. This is one of the great things about the BFSI – new people stop by and leave their web addresses. It is fun to see what others are making. I noticed that Joann will provide space for craft group meetings and get togethers. I am sure it depends on the space of your local store, but check with them and see if your quilt group can meet for free. Chris has been playing with Inktense pencils. I got some from Lisa and need to try them out. In my spare time. Yes. If you are thinking and swearing that you will start on handmade projects early next year, Adrianne created a list of projects to get your creative juices flowing. Of course you can pull an all nighter! Julie over at the Intrepid Thread is looking for Sample makers and pattern testers for her shop. She posted all the details on her blog. Use the special email address she has set up to apply. Great opportunity! I’ll need someone or multiple someones to attend these events announced in Deanna Raybourn’s December newsletter: “And when you’re filling in your new calendar for 2014, don’t forget to mark January 18 if you’re in the northern Virginia/DC area—I’ll be at the Salem Church branch of the Central Rappahannock Library in Fredericksburg with JOANNA BOURNE and SUSANNA KEARSLEY! We’ll be chatting and signing and hope to see you there. Susanna and I will also be at Murder by the Book in Houston on March 1 to celebrate her newest release, THE FIREBIRD and to launch CITY OF JASMINE on its birthday. Details coming soon on the Tours page of my website.” I won’t force you to buy me a present, but do attend if you can. I’d love to k now about the event. I would attend myself if I weren’t 3,000 miles away. I finished writing all the cards on my list last night. That means I get to work on embellishing the stockings. It is kind of a reward. As I explained previously, these are simple felt stockings. Every year I try to embellish them a little more so they are more interesting and more special. 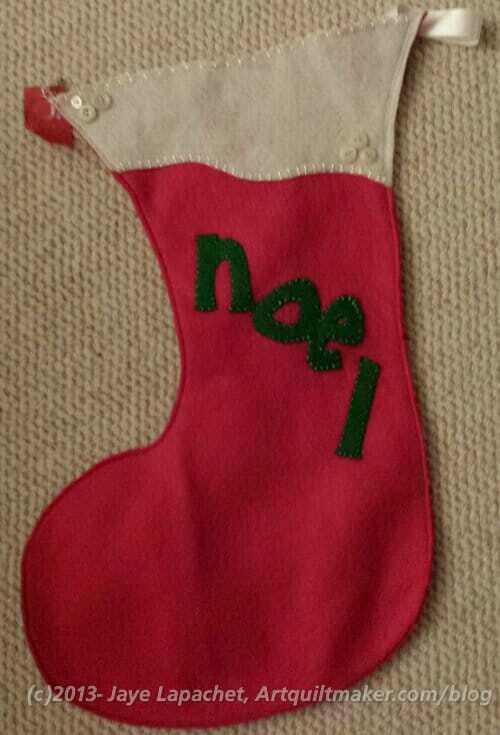 Tonight I worked on DH’s stocking, the Noel stocking. I thought about adding joyeux, but I don’t think there is enough space. I am not going to change anything major, because I want to focus on the embellishing. 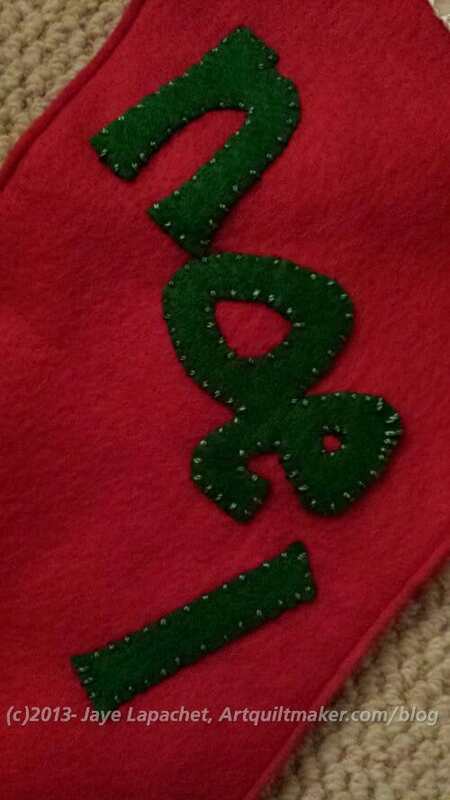 I went around the Noel in a blanket stitch, but I did it wrong. Still, I think it looks more interesting now than before. 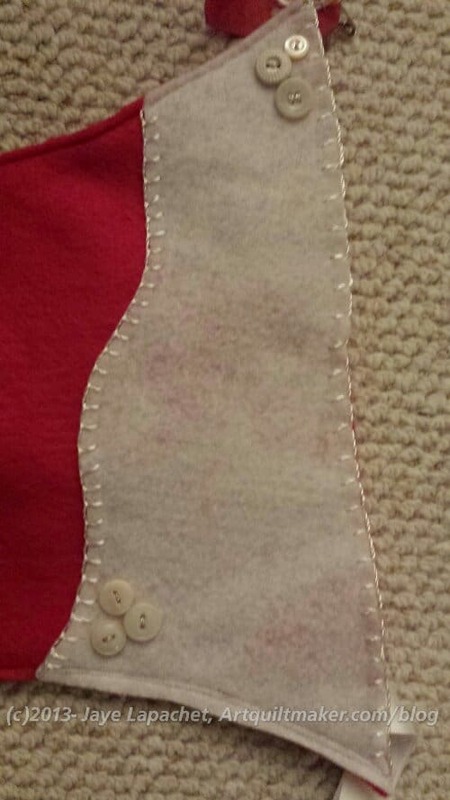 I had already done the blanket stitch on the bottom, but added some to the top, which was a little tricky. I am not sure what to add next, so I may move on to another stocking. I had some time and thought I would make some pillowcases for the littlest nephews. The ‘littlest’ nephews are now 2d and 4th graders so ‘little’ is relative. Still, I thought it might be a fun to give them a pillowcase they could especially use during the holiday season. I won’t have much of a chance to do that as all the niece-phews are getting quite old. They came out well, but I really had trouble with the directions this time. Once again, I used the Twiddletails tutorial, which has been great in the past, though it isn’t as straightforward as it could be — or it is not written in the way I think. I have decided that what I need to do is measure a pillow case of my own, figure out the dimensions of each piece, take what is good from the Twiddletails tutorial and create my own tutorial. I haven’t posted a tutorial in awhile and it is about time. I think the problem is the selvedge. I always get confused when I am reading the directions about the selvedge. I don’t know if it matters where the selvedge ends up. I have made notes on my printout and have determined that they are muddying the situation. It could be that I need to just print out a new version of the directions and make other notes. We will see once I measure my own pillowcase. * This is the second version of this post. The first version disappeared in the move of my blog. The GorillaTorch Flare hands-free flashlight features flexible legs and magnetic feet that allow you to attach it to anything. CloudFlare offers free and commercial, cloud-based services to help secure and accelerate websites. Includes features, pricing and testimonials. Original Flares™ by Zaggora, the classic ankle-length running leggings designed to get you hot and burn more calories. The Flare is Kilgore College’s award-winning weekly campus newspaper. Flare programming language page for next-generation xml-based programming language. FLARE is the premier organization for first year liberal arts majors at Texas A&M University. FLARE stands for Foreign Language Acquisition Research and Education. It is the name of the interdisciplinary program at The University of Iowa that sponsors he PhD in Second Language Acquisition. In other words, FLARE is not the name of the degree that students achieve; rather, it is the program within which students study to obtain the PhD in Second Language Acquisition. Inspired by the retro-future scifi of the 1950’s, Flare is a mad experiment in social presence re-engineering. As I mentioned earlier in the week, the BAMQG meeting was on Saturday. I can’t tell you how happy I was to attend the meeting. It was a surprise, because I thought the meeting was on the 8th. Angela told me that it was on the 14th and when I checked, I realized I could attend! I declined the invitations of several Christmas parties this year, because, as a friend aptly described, mustering merriment just wasn’t in me. 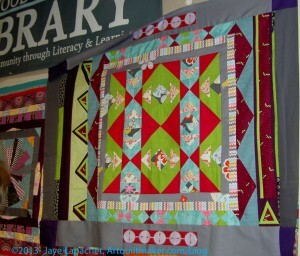 I didn’t feel like I had to muster merriment to attend the quilt party. There were quilts! What more did a person need? One of the show and tells was Cheryl’s quilt (above). She won the blocks and added the aqua/greeny-blue. I love the way this quilt looks. It isn’t stark like all-black and white quilts can be. The gold isn’t depressing. There is a lot of movement, which made my eyes move around the quilt and every time I looked at it, I saw something interesting. This is a fabulous quilt and one that makes me think, again, about the ratio of black to white in a black and white print. See the full quilt on Flickr in the BAMQG pool. One of the small groups that the president created this year were meeting with their round robin quilts. This is a great shot – I wasn’t being diligent about taking photos. Trust me when I say that their round robins LOOK fabulous. The one that really caught my attention has the pinky-red and green. the contrast of the two colors is wonderful. This group has done a great job. Their centers started out interesting and a strong start clearly set them all off to do their best work. Cheryl also finished a quilt for her nephew who will receive it as a Christmas gift. I took a close-up, because I missed my chance to take a full photo. Fortunately, there is a full photo on Flickr (say that 3 times really fast!). She did a great job using mostly the same darks, but interspersing a few others in to add interest. I also liked the background. As I mentioned on Sunday, a few weeks ago a group of us had a Black Friday Sew-in, mostly on Twitter (you can read the old tweets by searching for the #BFSI hashtag). I asked you a bunch of questions in order to give you the opportunity to win a bunch of books compliments of Lark Crafts. I thought it would be fun to recap your comments and you, dear readers, reacted well to the first review (posted on Sunday). You can find the original post that coincides with this review on Friday November 29. You can also find more about the Black Friday Sew-in on the introduction post. In Question #3, I asked you about guilds and groups. These answers were a lot harder to distill down to one line answers. Reasons for belonging and not belong are complicated and I share some of the thoughts and feelings that you wrote. Tell me about the guild or guilds to which you belong. Why do you belong? What do you like? What would you change? Nobody is willing to cut programs and focus on the people. I don’t think this is limited to quilt guilds. I really think that successful guilds look at each project every year and compare it to their membership and make sure every projects contributes something to the guild. I don’t think guilds can be successful if there isn’t enough time for socializing. For a lot of people, visiting a quilt guild meeting is one of the few times they can get out without husbands/wives and children. Such meetings needs to be worth their while. Likes: the other members,;being inspired by other members’ work; this year we did small groups, and it was kind of nice getting to know a few members at a time; I’m participating in an intermediate/advanced round robin project which is *amazing*; and I’m looking forward to more national speakers/workshops in the future. Janet brings up an excellent point about guilds. Many of them still have libraries of books. This can be a huge benefit if the Library continually gets new books, especially if you do not have the space or money to buy books of your own. It looks like Joyce’s guild has a small, but manageable group of activities that benefits the members. I wonder if there is a database of quilt guilds with descriptions of their activities? If you do not belong to a guild or quilt group, why not? The major factors for not belonging to a guild seem to be the timing of the meetings, shyness, getting to the meetings, feeling unwelcome or awkward when new at a meeting or not being able to get to the meeting, because of physical or age related reasons. For the first time since I became a quilter, I do not belong to a quilt guild. I plan to join the local guild in January. Sophie, who wrote the above, did not say why she didn’t belong to a guild at the moment, but it is nice to hear she will be trying one out. I find belonging to a guild something that I value. I do have to moderate my tendency to jump in and do everything asked of me, but I do that by picking something I can manage and doing that. 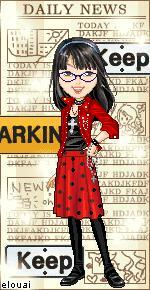 One of the guilds I visit is very clique-ish. I have tried to join a couple of times, but never got anything out of it, so I usually don’t renew when renewal time comes around. I think getting to meetings will become more of a problem and wish there was some kind of video conferencing that would be effective as we age. “I do not belong to a quilt guild. The one closest to me meets during the day, when I am at work. Jackie has a unique issue that is probably more common than we think. I eat a special diet and there are snacks at every meeting. Unless I can see the package to read the ingredients, I don’t eat anything. I do contribute some items that fit with my diet. Jackie’s issue is a reminder to go easy on the perfume when you attend events and meetings. Julia brings up a point that I have thought about. What is a good way to reach out to people who may want to come and are shy. Katie, of Katie’s Quilting Corner, talks about the open house her local shop has to advertise new classes. What if a guild was there to encourage new members? I did notice that a lot of people have bees to which they belong that take the place of guilds. That is a good way to solve the problem if, for whatever reason, you can’t attend a meeting. 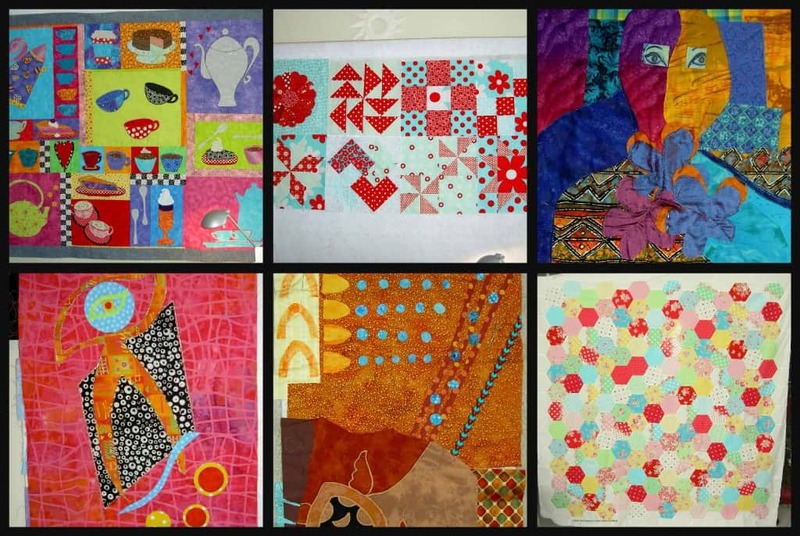 Contemporary Quilt and Fiber Artists, a local art quilt guild. I haven’t been making many art quilts lately or working at all on showing my quilts in galleries and such, but they let me stay anyway. Bay Area Modern Quilt Guild, a local ‘modern’ guild where I can find a lot of women my age, energy and fun activities. QuiltNet, an online guild of which I have been a member since the early 1990s. There are a number of other guilds in the area and I visit them sometimes, if they have an interesting speaker and I have the time. The thing I would like to have is a group of ladies who meet regularly to stitch and talk. Yesterday was the BAMQG Holiday Party and Meeting. The meeting part was relatively short, then we had the gift exchange and Show & Tell. I mentioned that I had made a gift for my Secret Santa and showed it a week early, which led to the realization that I was able to make the meeting. The recipient, Laura was really pleased with the tote bag and needle case I made. I really should have put pins and needles in it as I think she was a little confused about what should go where. I showed her and I think it ended up okay. Jen was my Secret Santa and she made me this Iron Caddy. Didn’t she do a great job? The pattern she used didn’t sound like the same one Julie told me about that so frustrated her. Jen did say that there was one measurement off — the 7″ measurement in the middle should be 6-1/2″. I haven’t tried it so, pay attention if you make this pattern. I still have not yet made the Iron Caddy pattern I bought at Quiltin’ Cousins, so perhaps I am off the hook? A few weeks ago a group of us had a Black Friday Sew-in, mostly on Twitter ( you can read the old tweets by searching for the #BFSI hashtag). I asked you a bunch of questions in order to give you the opportunity to win a bunch of books compliments of Lark Crafts. I thought it would be fun to recap your comments and think about them further. You can find the original post that coincides with this review on Friday November 29. You can also find more about the Black Friday Sew-in on the introduction post. If you had to teach someone how to do one quiltmaking technique, what would that be? fabric selection as to type (cotton or blends) and quality, and grain lines. I think it is so interesting that very basic techniques were mentioned most of all. The answers make me wonder if the way we, as a quiltmaking community, are being taught how to piece is not adequate? I realize that many people teach themselves, which is great, but it is hard to know what to learn when you have nobody showing you the little things. Perhaps there is an opportunity for a self-paced module based program that people could follow along themselves. 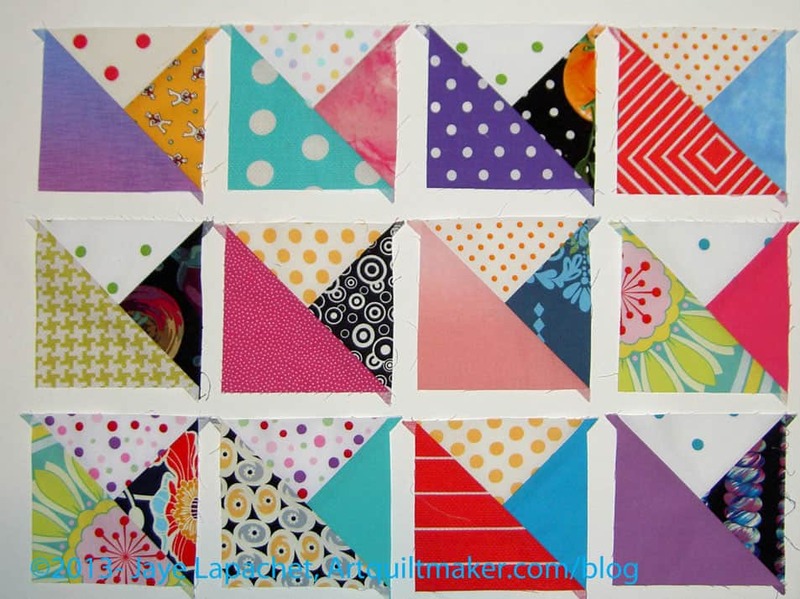 I have long been a proponent of learning using the making of a sampler quilt. 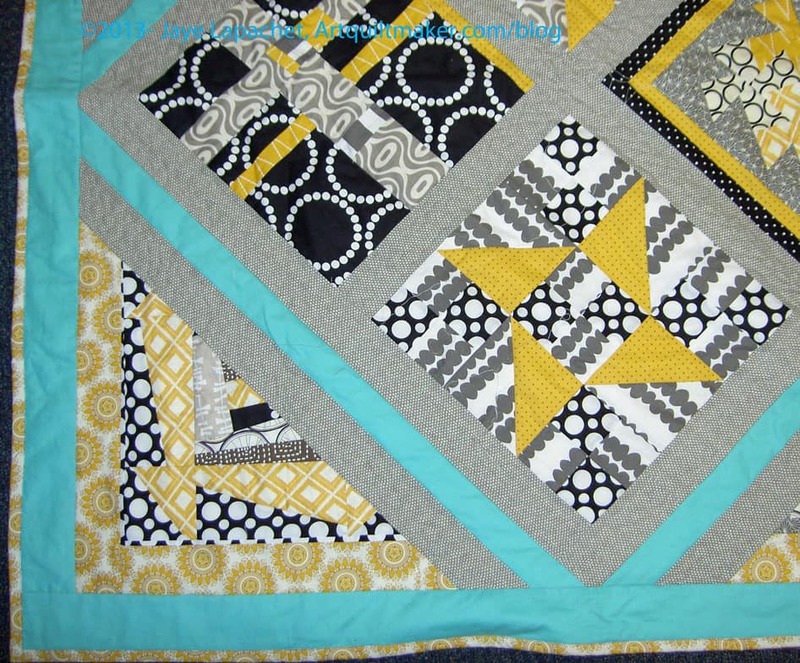 I like that method, because if you go through the basic sampler blocks (see my quilt class tutorials for more information), you will learn almost all the techniques you need to to know to make almost any block in the future. I know the problem in learning using sampler blocks -is that they take a long time to make into a quilt. 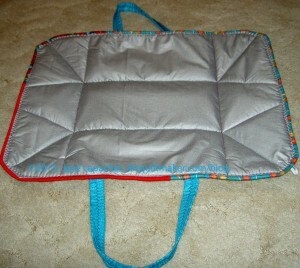 The class I took was 18 weeks long, one block a week, plus an introduction, a couple weeks for quilting, binding, etc. I know it is good to harness the enthusiasm of someone who wants to learn, get them in front of the machine making a project as soon as possible so that they see success quickly and continue to sew. Perhaps there is a happy medium? What are the best tutorials for beginning techniques that you have found? If you are a beginner, what would you want someone to teach you? Daisy W mentioned that learning to hand stitch a binding was hard to learn watching a video on YouTube. I haven’t watched any videos on binding, but I can imagine. I finally got binding down (making to stitching) one year when I finished 10 or so quilts. I did all the bindings and doing that made the details of the techniques stick in my head. One part of the process with which I still struggle is the matching up of the ends. This is not something I learned in my beginning quilting class. I, actually, never knew it was possible until I saw a Fons & Porter Love of Quilting tool in a demo at BAMQG. Now I do that all the time as it makes the ends of the binding look so nice. There are no more giant lumps at the ends. I really struggle with getting it right. The directions are difficult and confusing. 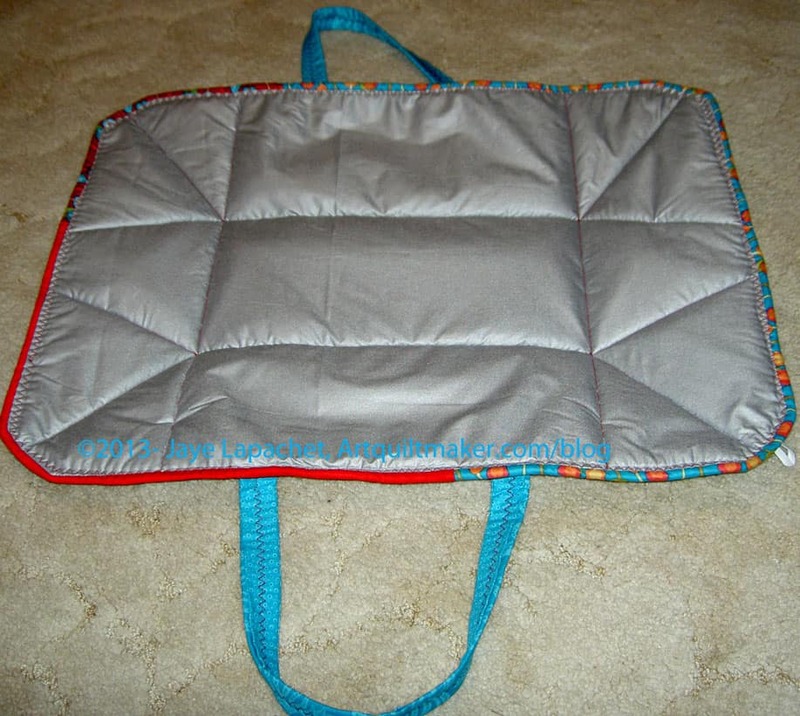 Jen wrote in a comment “I would really like to learn “quilting for show”, not necessarily because I want to enter shows, but because I’m always hearing how the binding has to be just so, and knots need to be buried, and judges get out their magnifying glasses and rulers, etc. What they are actually looking for exactly is beyond me and I would like to know.” I talked about this in the podcast with Pam (Episode #148). Why is it a secret what judge’s want in binding. 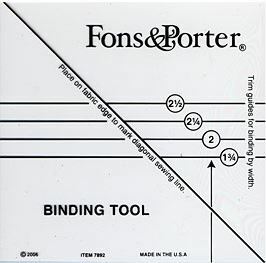 I always get called out on my binding – miters aren’t up to snuff and my binding isn’t filled! ERGH! It makes me crazy, because I just don’t know what they want and I really do try and do my best. 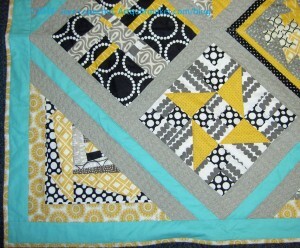 There are a lot of people who want to learn FMQ and I think there are a lot of tutorials, books and classes out there. 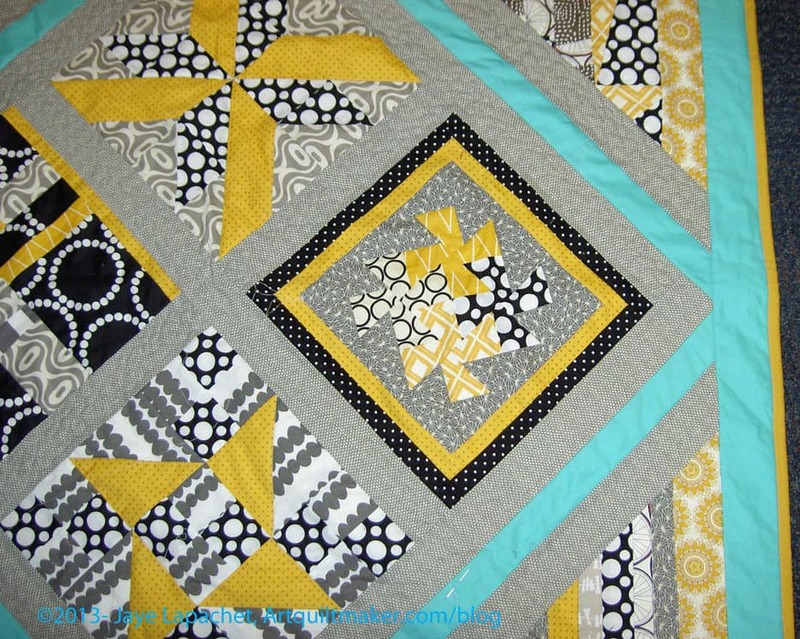 I have heard good things about a Craftsy class on negative space quilting from various podcasters. I know my problem with FMQ is that I don’t practice. I think practice makes perfect. For me, practice is hampered by my machine, my space, to a certain extent, but those are not excuses for not practicing. Someone also mentioned not being interested in taking classes. I enjoy taking classes, because sometimes they are fantastic and send me spiraling off into a new direction, or solve a problem for me. Other times, I learn one new thing or learn I don’t want to do whatever they are teaching. Regardless, classes expand my horizons and I think they are valuable. I have been working on piecing the squares together. 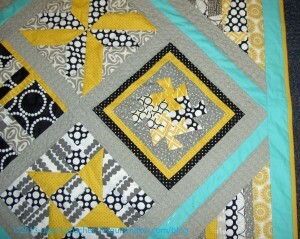 This is a sample of the squares I have made. I don’t think that I have made squares that are as bright and cheerful as some of my previous pieces have been. We’ll see when I combine these with other pieces and parts.